Hello! 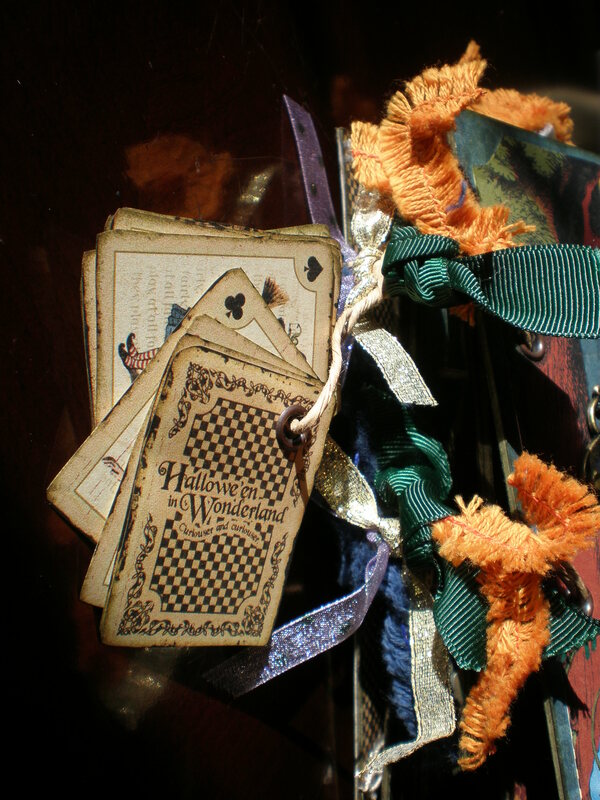 Here is my second set of cards using all scraps, inks and paints. 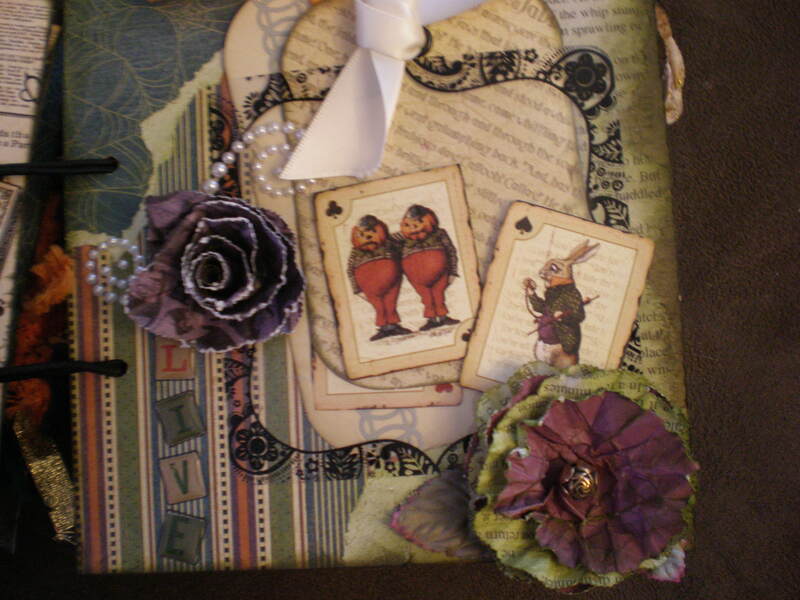 These all use Graphic 45 images from the Le Romantique and Boardwalk collections. Hello, everyone. I decided to make a few packs of handmade cards for Christmas gifts. They will be for teachers or grandparents. I am currently undecided. I used ALL scraps from my desk and leftover bins. I know awesome, right? They took a bit of time to make even though they are simple. I am pleased with the outcome. I will share the second set sometime soon. Welcome! 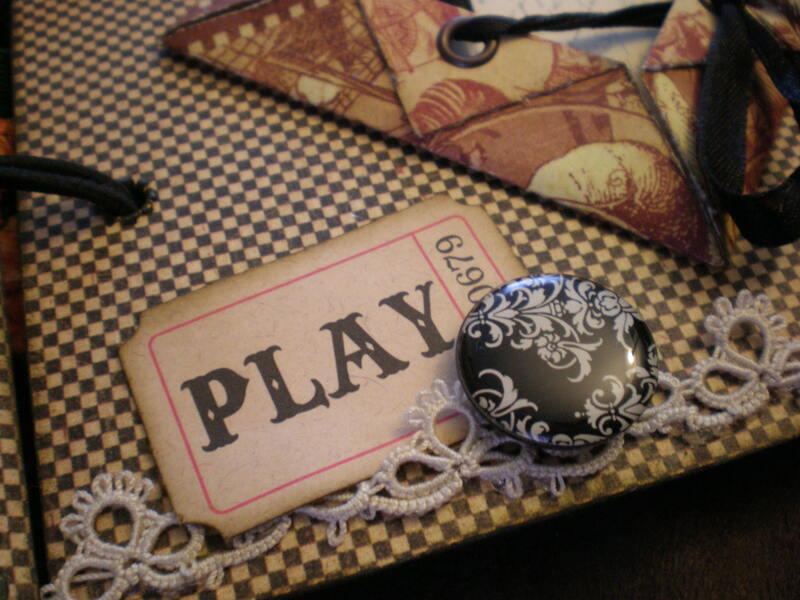 It is time again for our Artistic Outpost blog hop. This time the DT gets to choose their theme or project. I made this box for my best friend. She is going through a very difficult time presently and I thought the quote from the Chalkboard Wisdom stamp plate fit perfectly. The box started out like this. I applied gesso and some Graphic 45 paper. I used a stencil with texture paste. I used Distress Paints to add more color. I tried to leave the box with plain paper but I couldn’t help my self. I had to use some paints and texture paste. 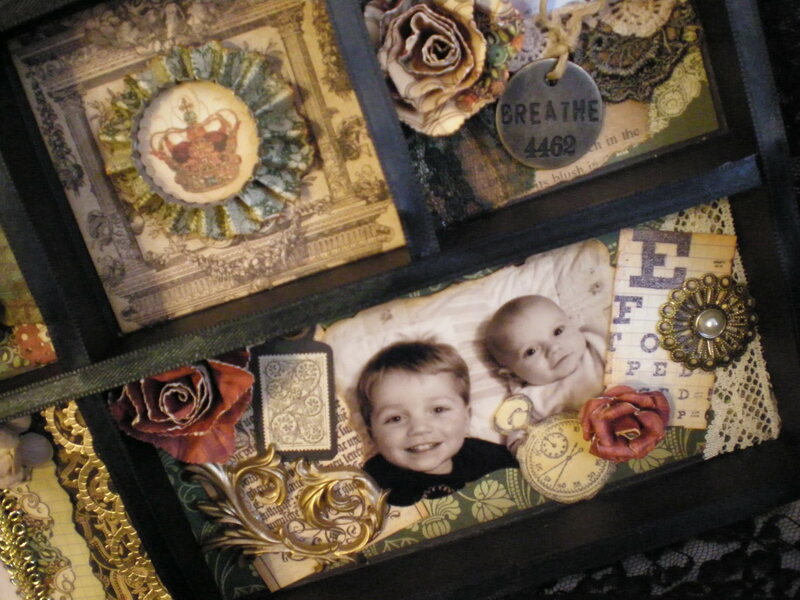 The top of the box is decorated with a frame, flowers and a pretty vintage image along with the stamped sentiment. Thank you for stopping by. Please hop along to see some gorgeous projects by the Design Team members. I am sharing some leftover cards that I haven’t posted yet. I figured I should get busy before Christmas is over. I am not going to give details so just enjoy looking. I tried out my friends new G45 stamps when I had some free time. I love this pretty fairy! 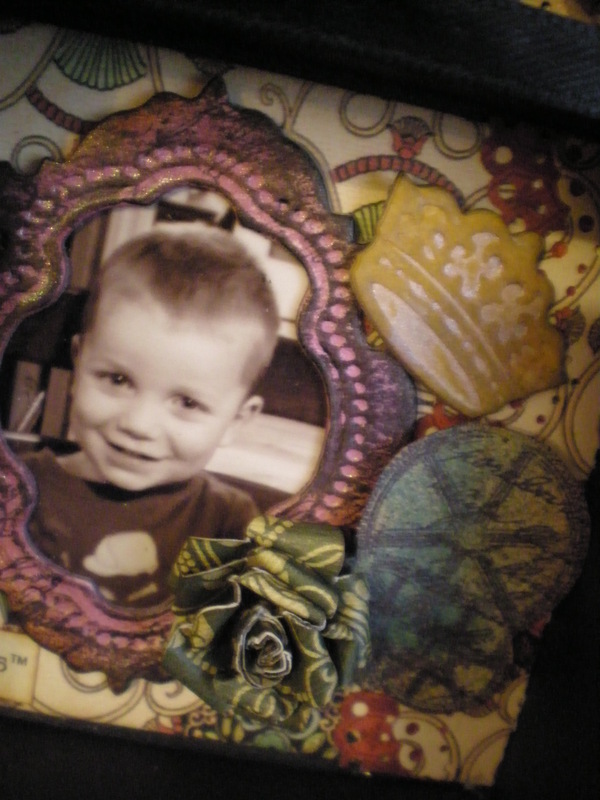 In the background I embossed some snowflakes in silver and glittered up some die cut snowflakes. You can never have too much snow! From there I just had fun. Just a few quick cards I made in 10 minutes for the Graphic 45 challenge. 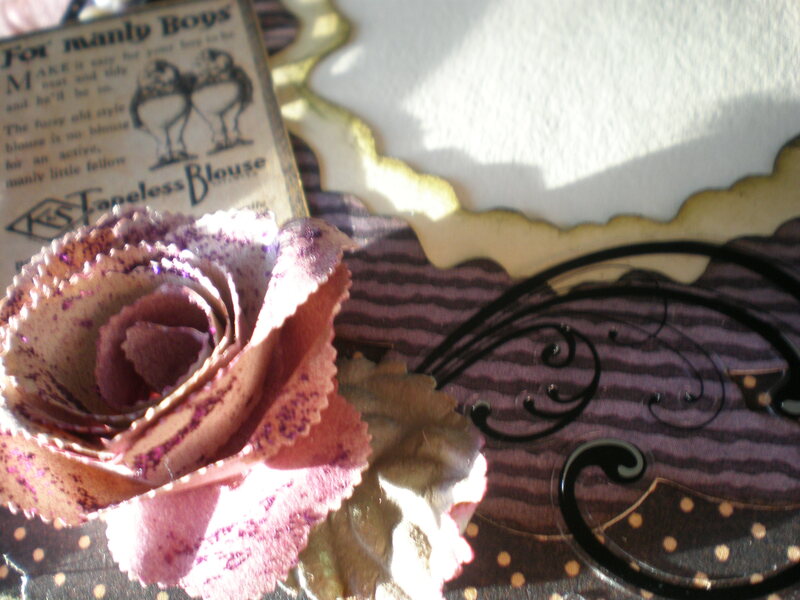 I used ‘On The Boardwalk’ papers with few extra embellishments. Can you believe its Friday again? Where is my life going? I seem to be getting less time to craft as of late. 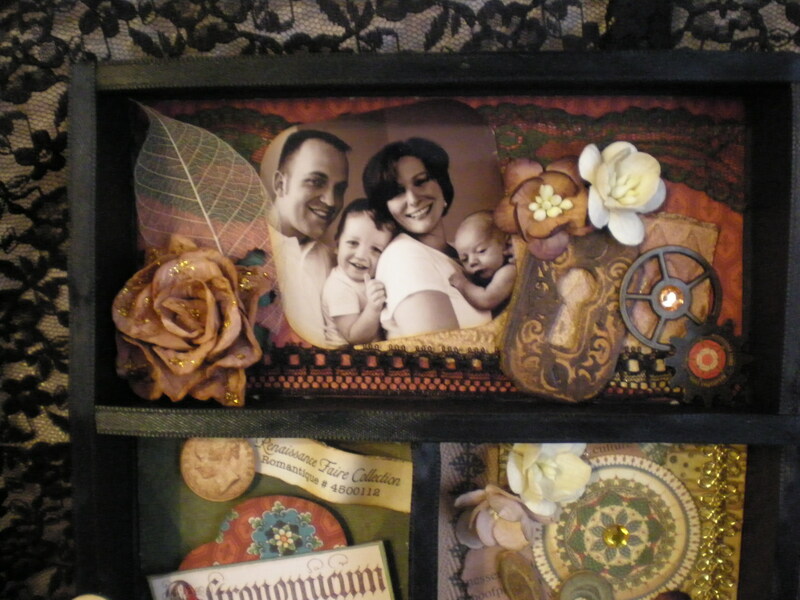 I did however spend the last few days playing around with one my favorite wood boxes from the dollar store. 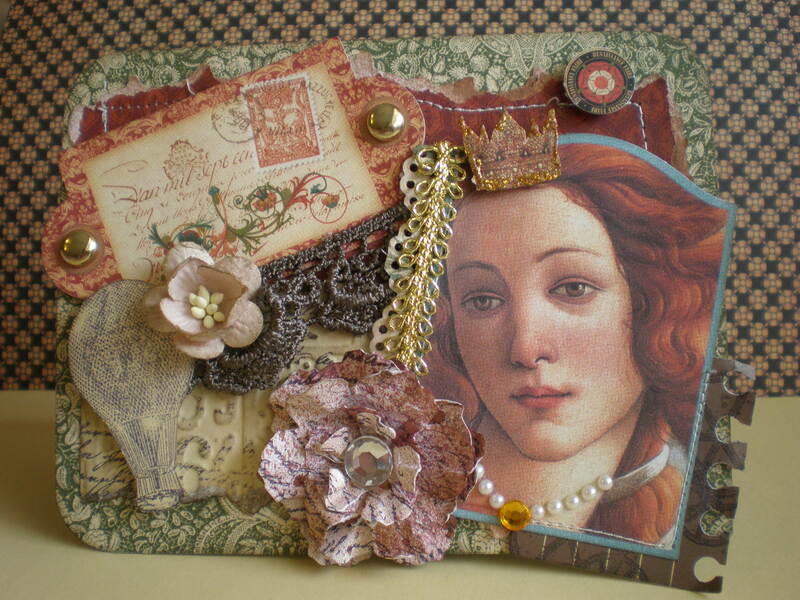 I wanted to use my ‘Bathing Beauty’ stamps from Crafty Secrets one more time before I store them and forget about them. So many gorgeous images to choose from. So, here are the details. I painted the box with several coats of paint before making my decision on the color. I stamped with a french script from Oxford Impressions in the background. I gessoed and sprayed with several colors from Lindy’s Stamp Gang. 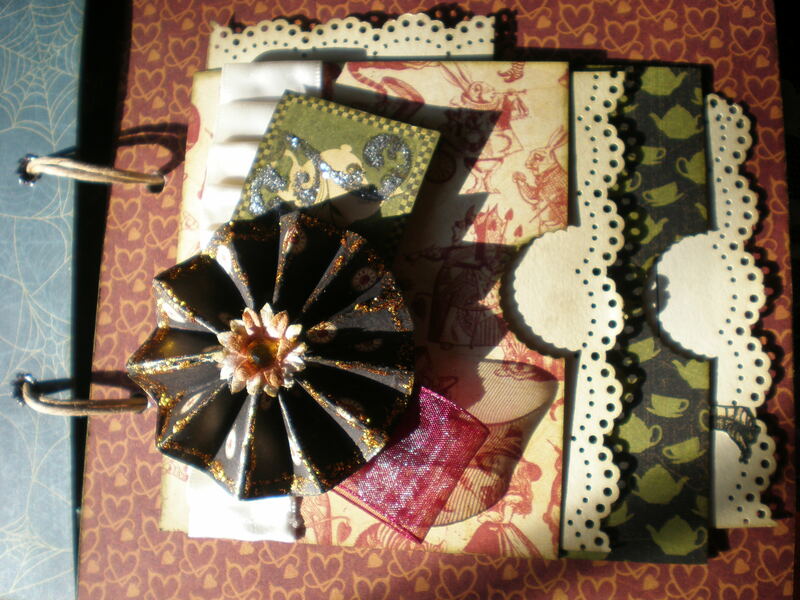 I used Graphic 45’s Botanicabella Paper throughout the box. I tore strips for the front and stamped with Pink Paislee’s Indigo Blue stamps. 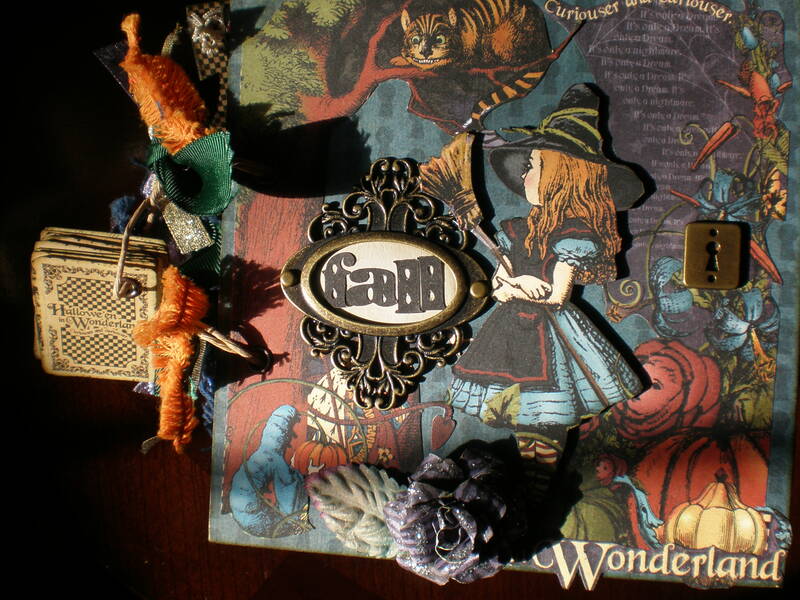 I cut a Spellbinder’s butterfly and embossed with gold powder. I finished it of with a rose. 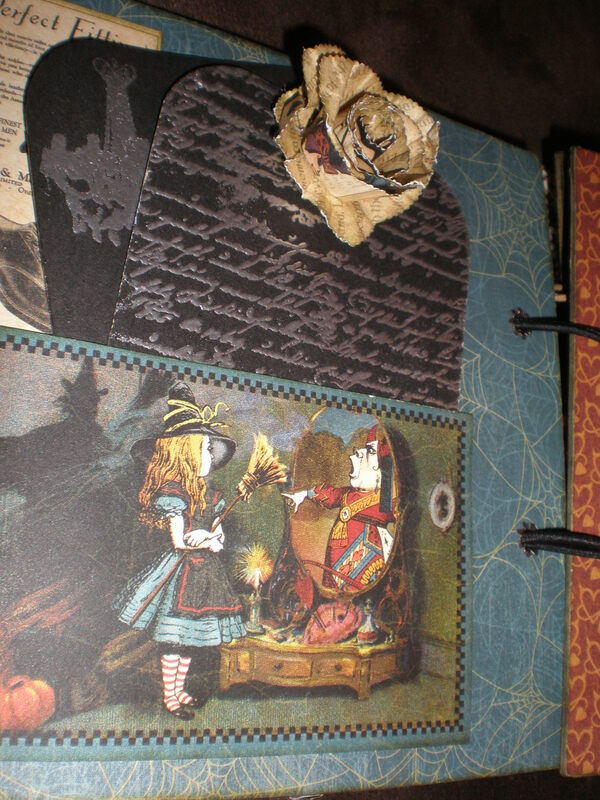 I layered the papers on the inside left. I used this lady from CS’s and gave her butterfly wings from the Botanicabella paper. I used glossy accents on the wings and gave her pop dots for lots of depth. I used the Indigo Blue stamps on the outer edge of the box. 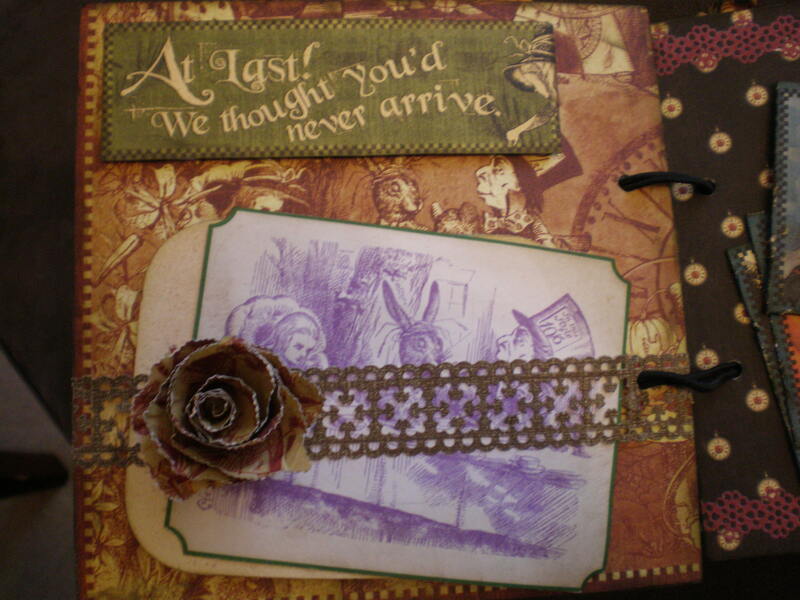 This side was made using the same layering of paper and stamps. I wanted to use something different so I dug out my pumice textured gel. I mixed a few shades of paint to achieve a sandy color and then applied it using a palette knife. I stuck in a few shells and an fractured doll with wings. 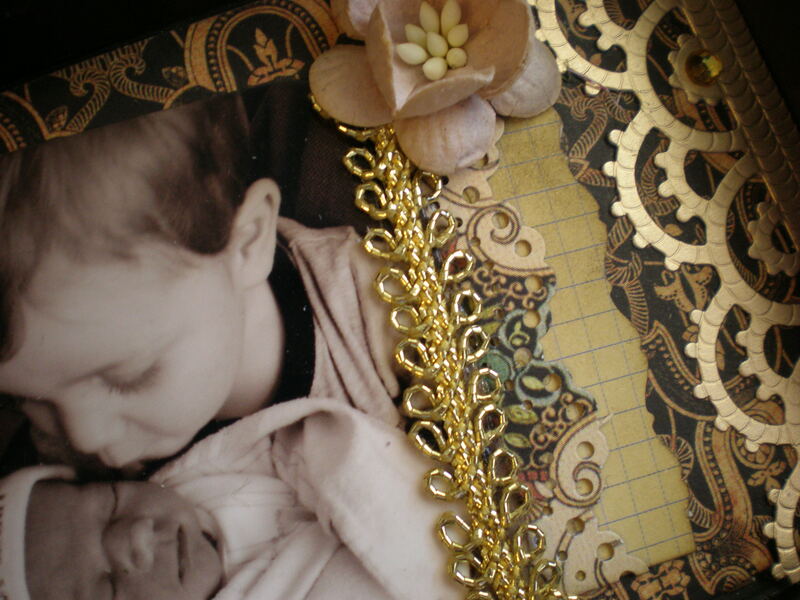 For the very top I used another CS’s image and a Parisean motif by Spellbinder’s. I would like to enter this in the My Monthly Mojo challenge. I love this challenge as Sarah always has amazing artist to interview and very inspirational projects to get the creative juices flowing. This month’s challenge is ‘Your Style.’ And as of right now I am still wandering around trying to find my style. 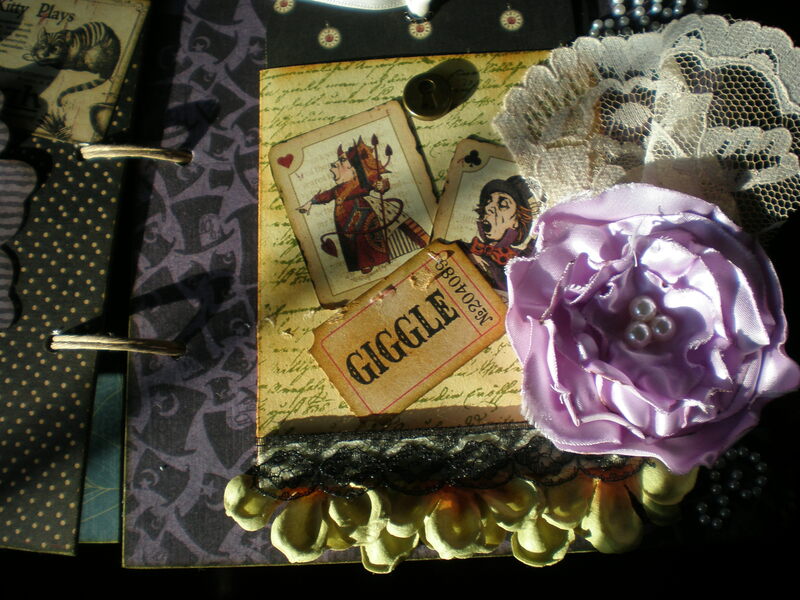 I am pleased with how this little project turned out so I guess you can say this is my style. Well, thanks for looking today. 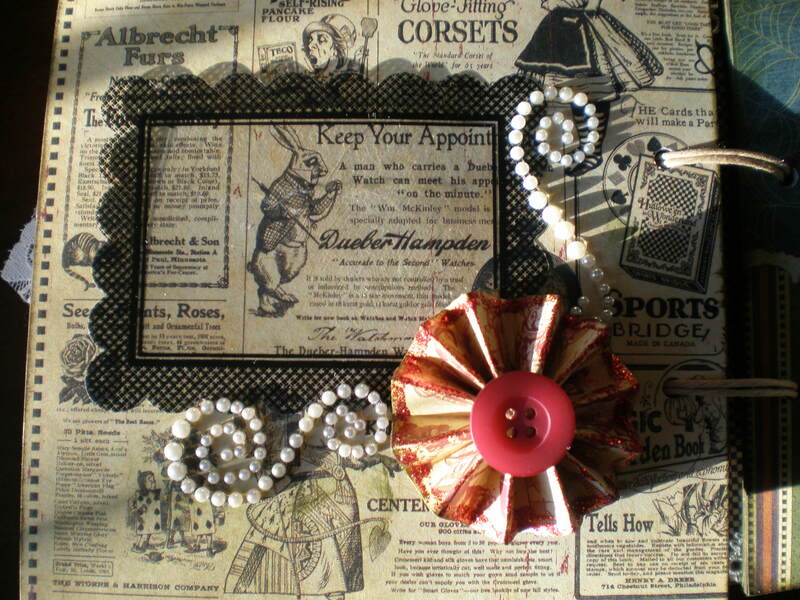 Remember, there is still time to join in the Red Rubber Designs blog hop. You could win some awesome stamps! See my post Here. I like to hoard Graphic 45 papers. I am sure you can relate. We all have something in our scrap room that we just like to look at. Well, I am trying to get over my hoarding. I made a pact with myself to use the papers on the shelf before buying any more (unless it is for a specific project.) I finally decided to take out these beautiful papers to make some cards. What do you hoard? Just a reminder that there is still time to enter my giveaway . You have until Tuesday February 14th. 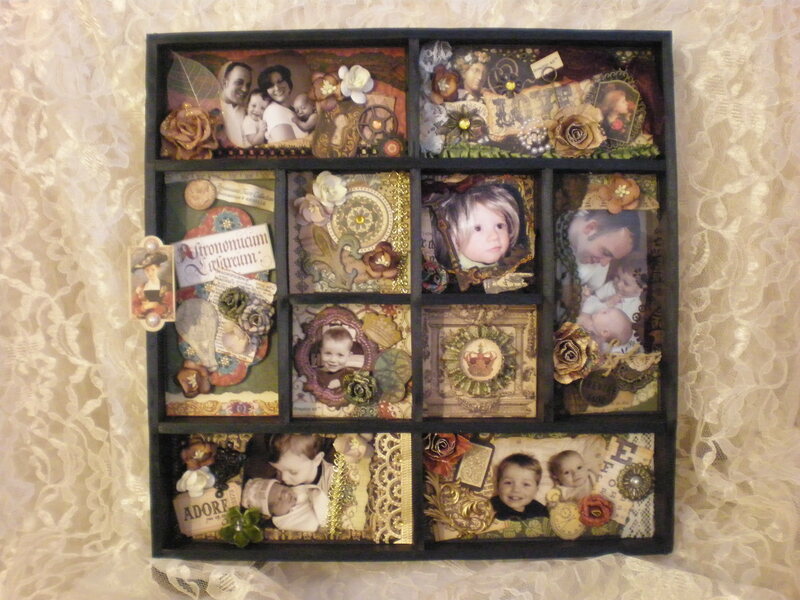 Lots of pictures… but I wanted to show you this mini before I decided to fill it with pictures. I made this mini for a friend from college. 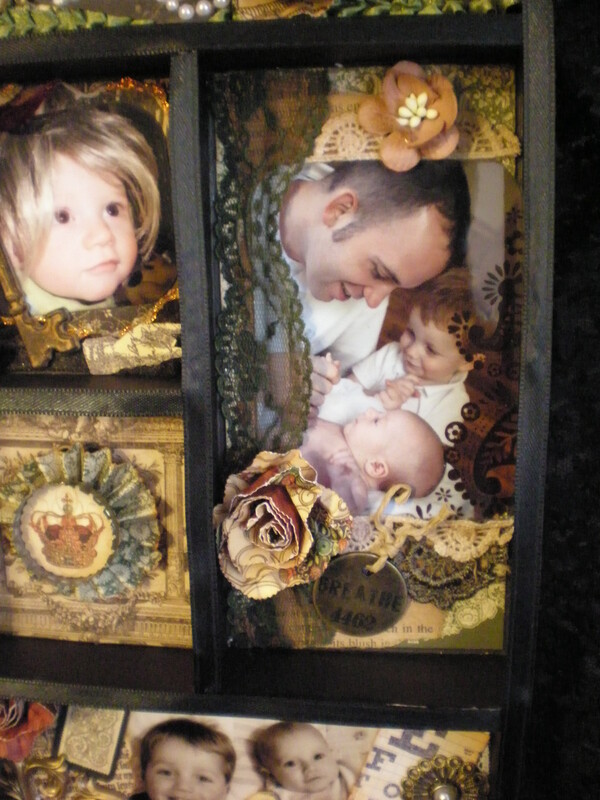 I want to fill it with pictures of her precious baby girl who is 6 months old and still in the NICU. I understand how difficult this time is for her not being able to bring her baby home as we dealt with the same situation with our first son! 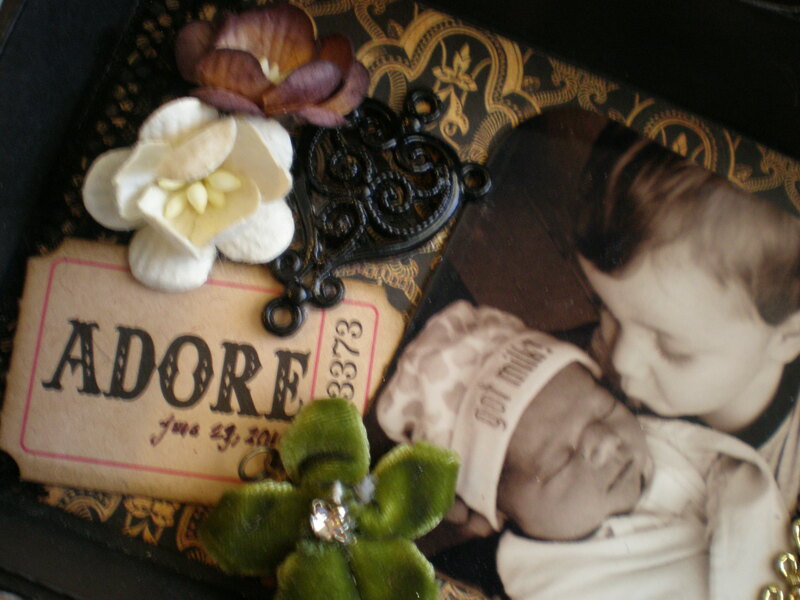 It is such an emotional time and I wanted her to have pictures and some places to journal. 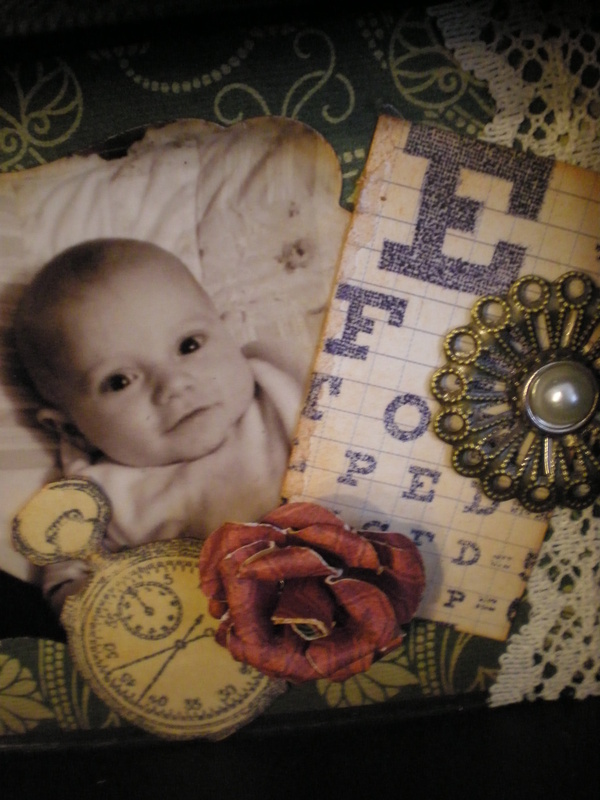 I used the Graphic 45 line ‘Once Upon A Springtime.’ Perfect for a baby mini. 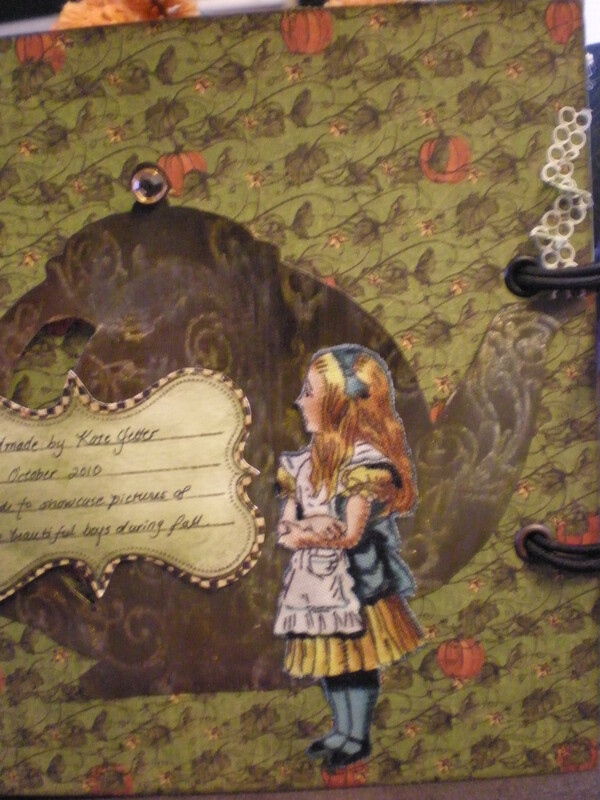 I used the paper collection and my Spellbinders dies to embellish. Thank you for looking! Hope you had a enjoyable Cyber Monday and that you didn’t spend too much money! Here is a simple but fun card I made for the Graphic 45 Thanksgiving card challenge. 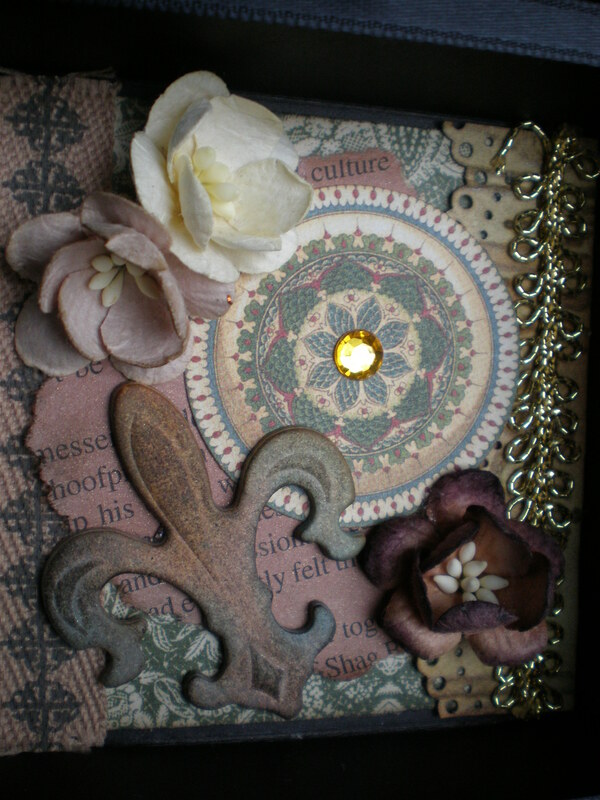 I painted my background and used a heart doily as a stencil with my copper spray. 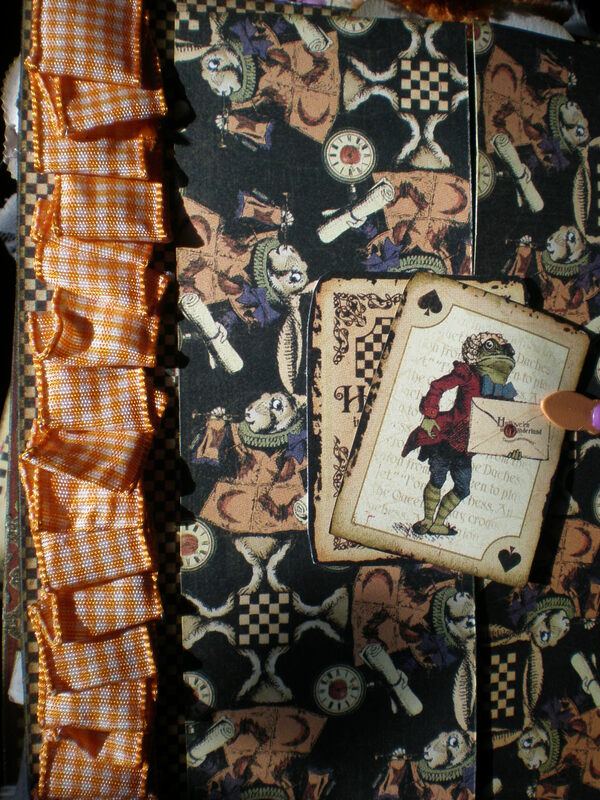 I used a Spellbinders die to cut my Graphic 45 paper from the Halloween in Wonderland tea cup paper. 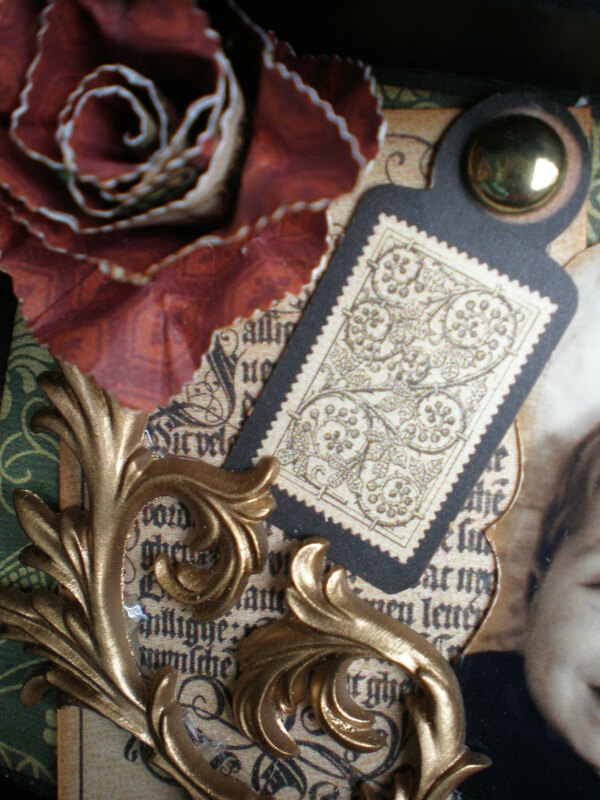 A nice quote, german scrap, lace, skeleton leaves and a flower complete the card. Check out the challenge here and whip up a quick card. You still have time. I finally got around to completing our vacation mini from this summer. I have been dying to use these beautiful papers by Graphic 45. 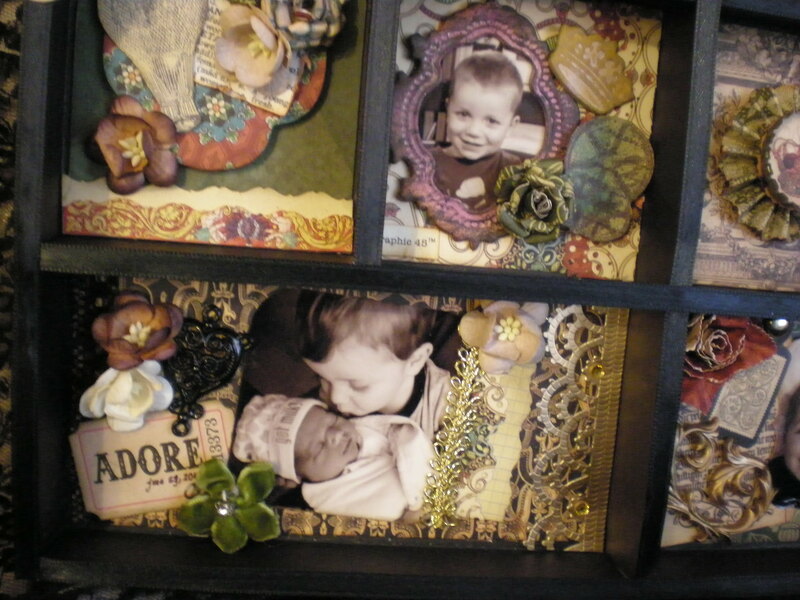 My goal was to use the paper collection as the embellishments. 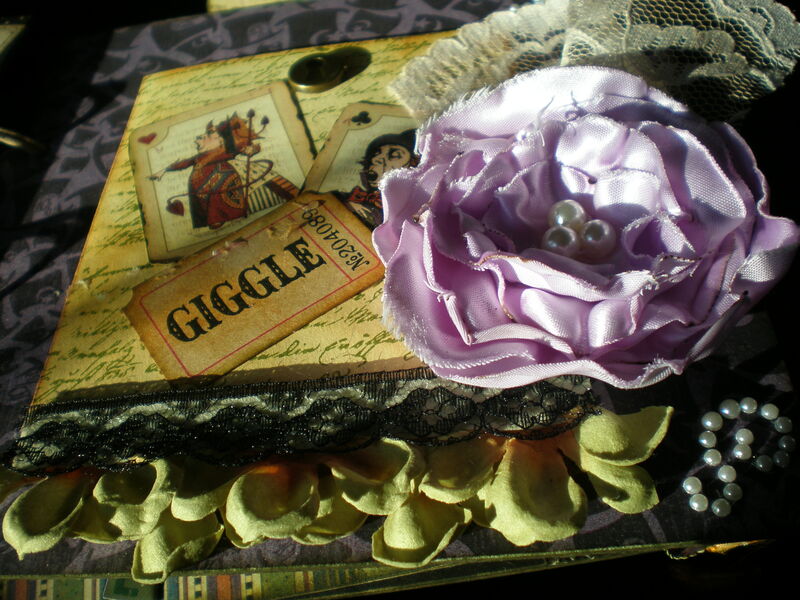 I decided to make tags, pockets, flip outs and mini books to house pictures so that the paper would remain the focus. 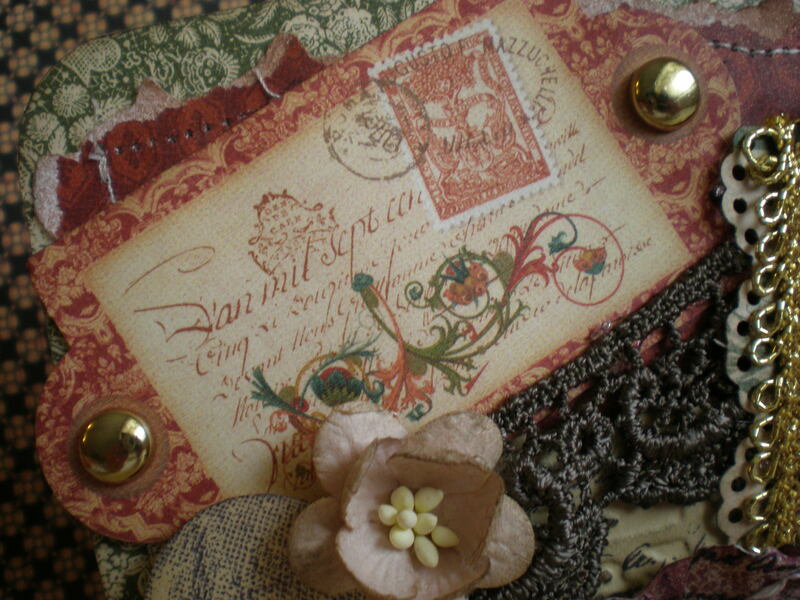 I used stamps, laces and trinkets from our trip as extra embelishments. Do you see that awesome crab leg I used? I picked that up on the beach. The joints still work. The colors were beautiful from the salt water but after it dried out the colors softened. Enjoy the pics. Thank you for stopping by this gorgeous, fall Monday! Well, here it is! 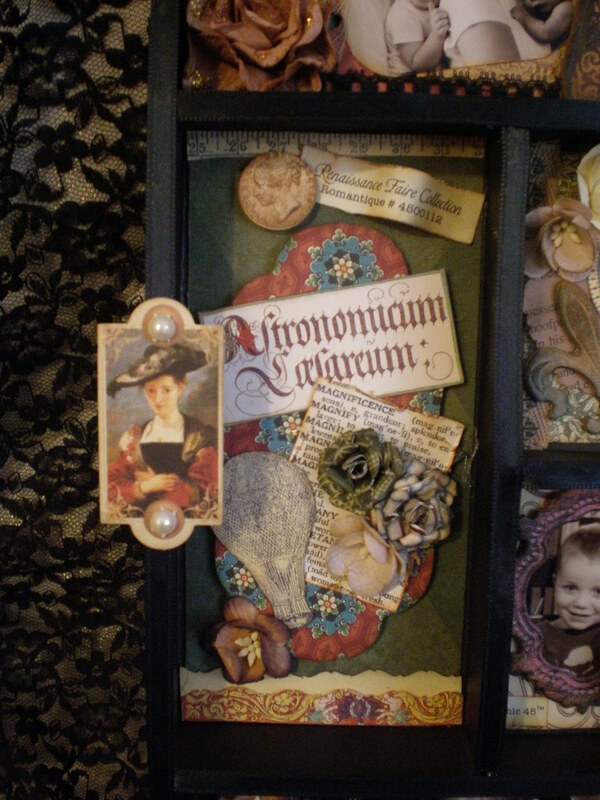 I finally finished my handmade shadow box complete from cardstock, designer paper and chipboard. 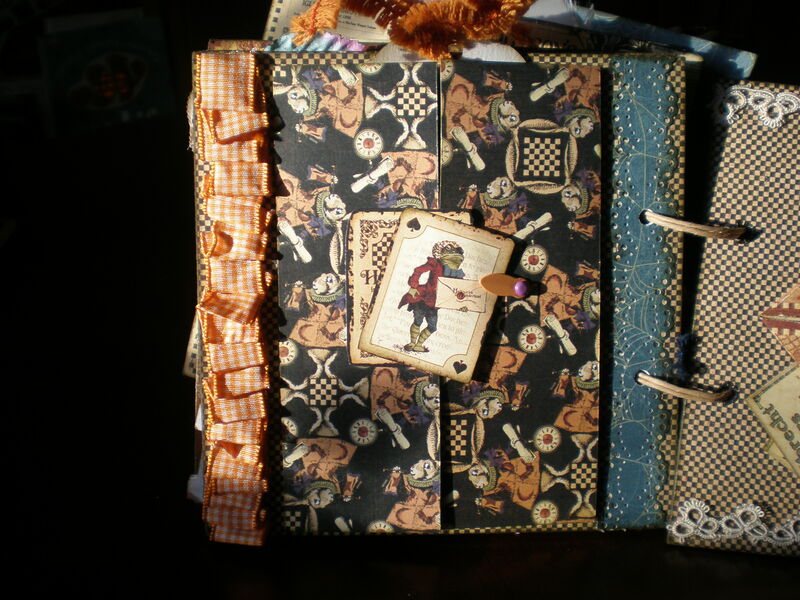 This was my FIRST altered project ever, except for a canvas of course. I had loads of fun but what a relief that it is over. At times, I was worried I was going to have to tear it apart and start all over. So, I am not going to bore you with every detail. Just going to give you the basics. I used all Graphic 45. 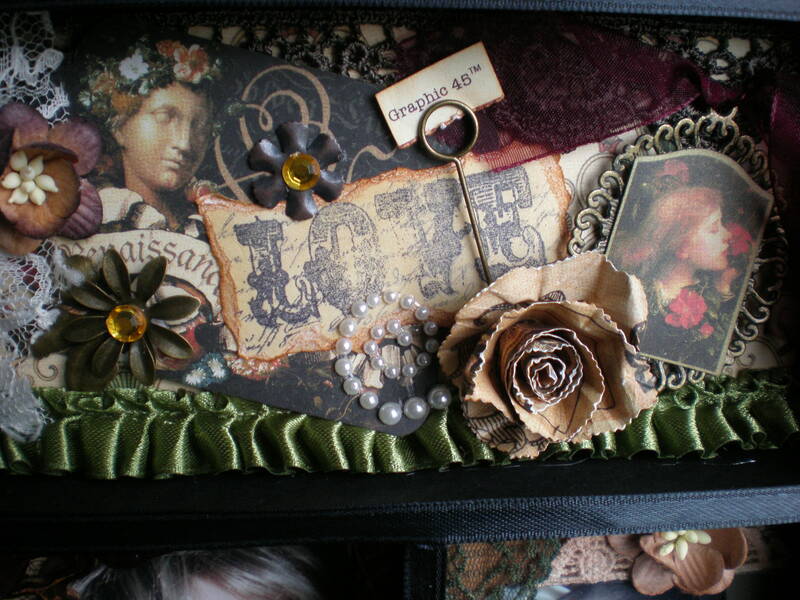 Embellishments were the paper,Tatttered Angels glimmer chips, glimmer mist, handmade flowers, I AM ROSES, 7 Gypsies stamps and trims from the Jule Box. 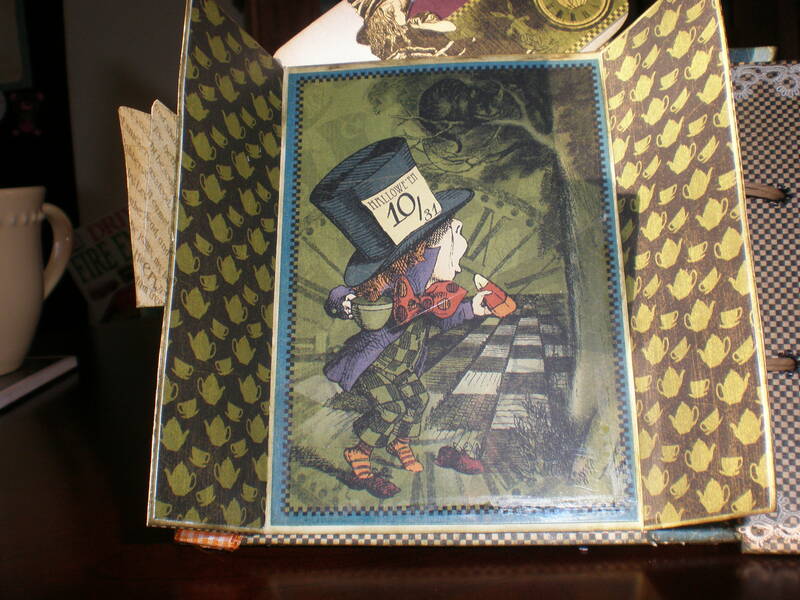 The technique I used for the box construction is by Kathy at Paper Phenomenon. 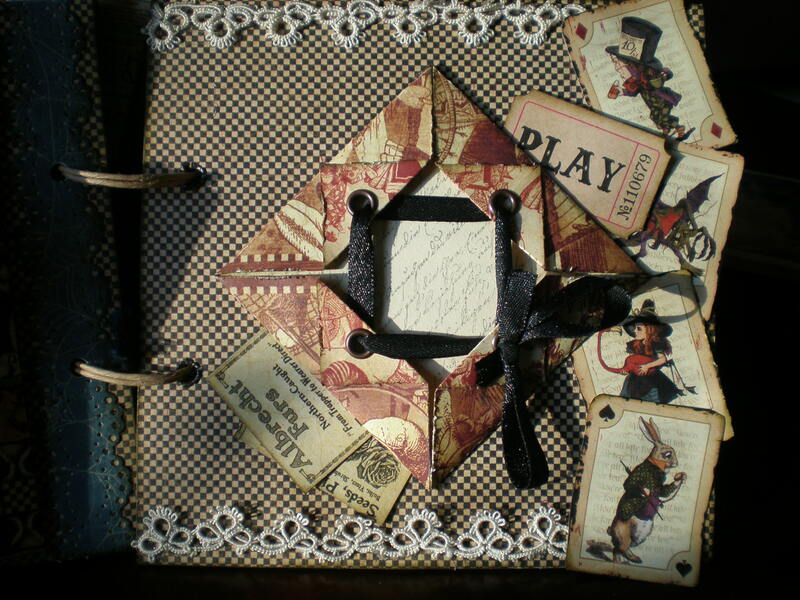 She used it to create a shadow box mini album. What awesome ideas she comes up with. I put it together to make a full 12 X 12 box to hang in my kitchen. Lots of photos so I hope you enjoy and leave a comment if you like! Thanks. I finally dug into my oldest pack of Graphic 45 papers. 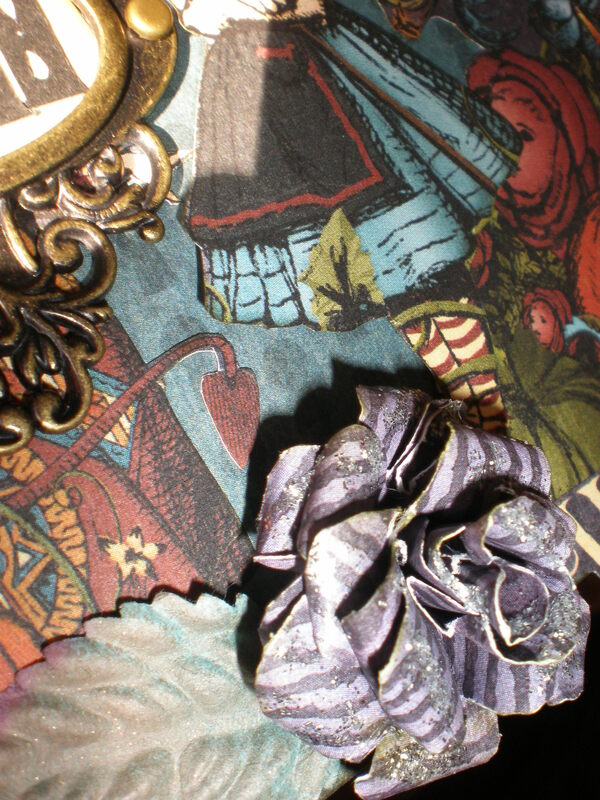 This beautiful collection is full of maps, Latin, Ladies and amazing floral patterns. 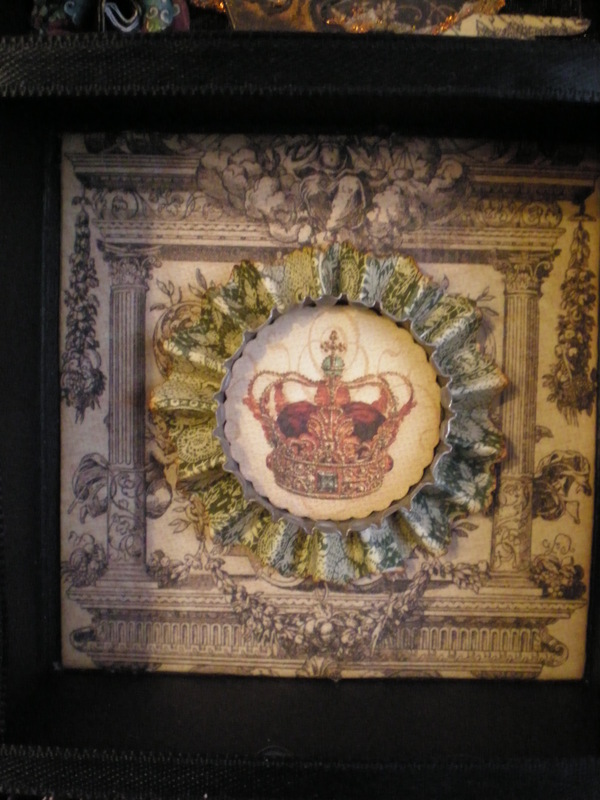 I started off with a beautiful green damask background and then tore, distressed and sewed the burgundy paper. 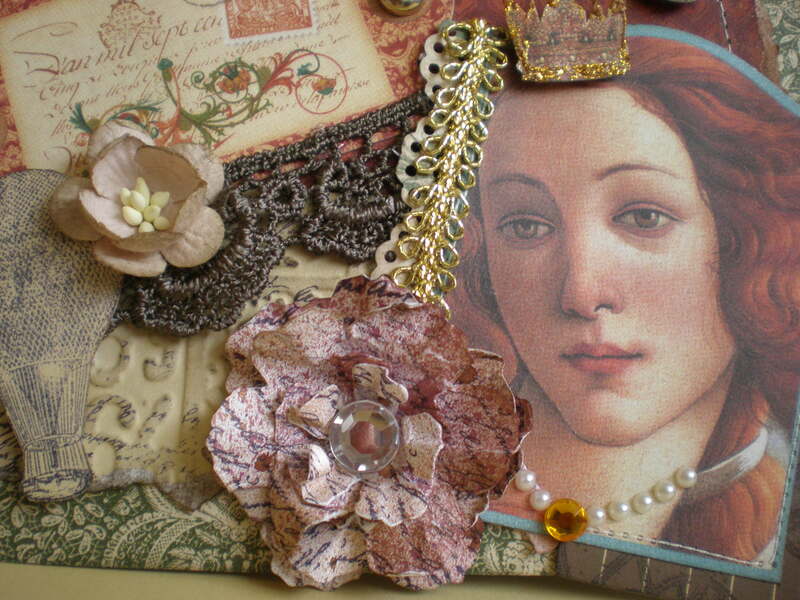 I added several paper embellishments from the collection and spruced them up with glitter, lace and stitching. 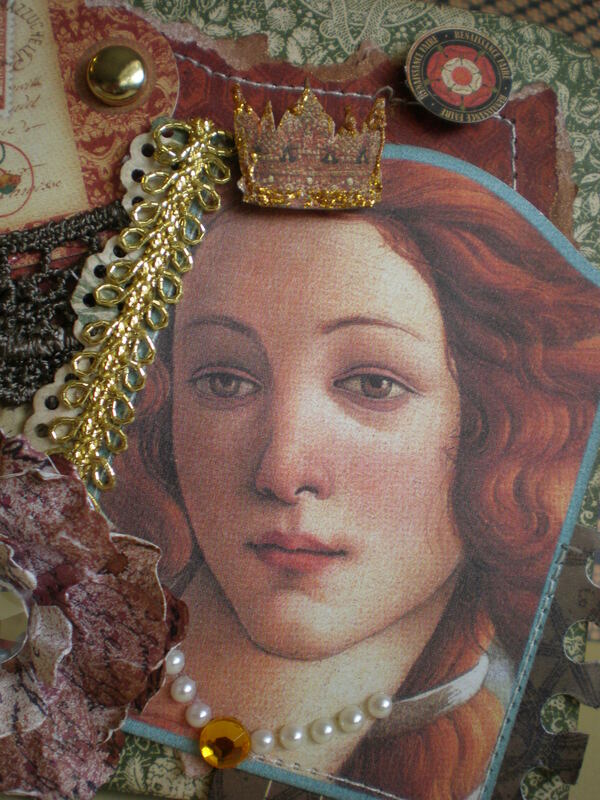 I gave the lady a pearl and jewel necklace to match her glittered little crown. 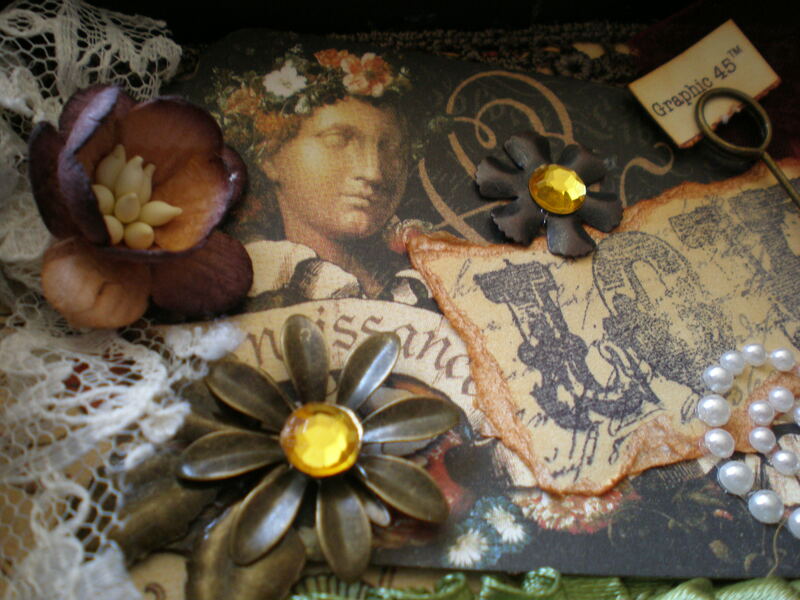 The flower was made from the tattered floral die and glimmer misted and stamped with a french script. I blinged the center with some Teresa Collins blingage. The hot air balloon is a 7 Gypsies stamp. I put is on pop dots and distressed it as well as everything else in Walnut stain. I am amazed at how easy it is to clutter up a tiny sheet of paper but that seems to be the trend, right? The more layers, the better. Well, I hope you enjoyed this post. I love all your comments so please leave one and let me know what you think. Have a fantastic day! I have been busy working on a challenging project as of late so I have not had anything to post. Here are a few pics of a couple of details. 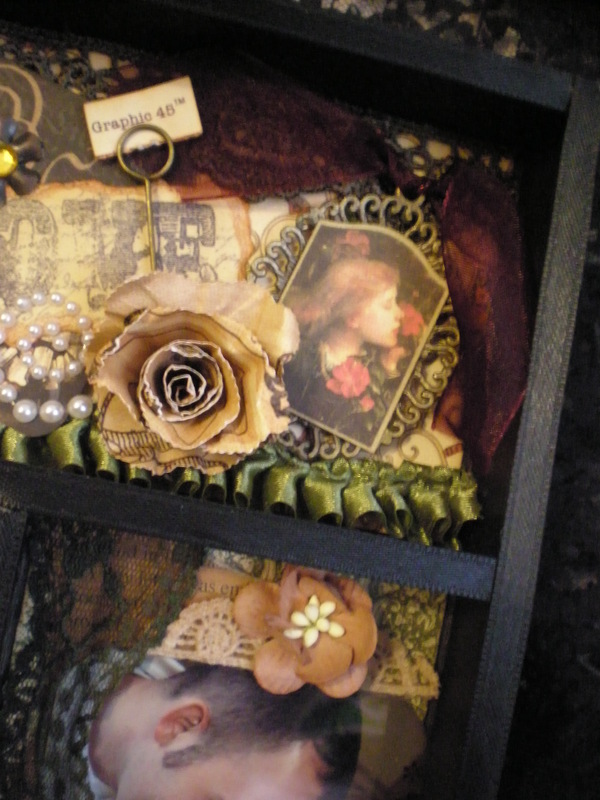 It is a handmade shadow box using Graphic 45’s Renaissance Faire. I usually do no go outside my comfort zone when it comes to projects. This one has been so fun. 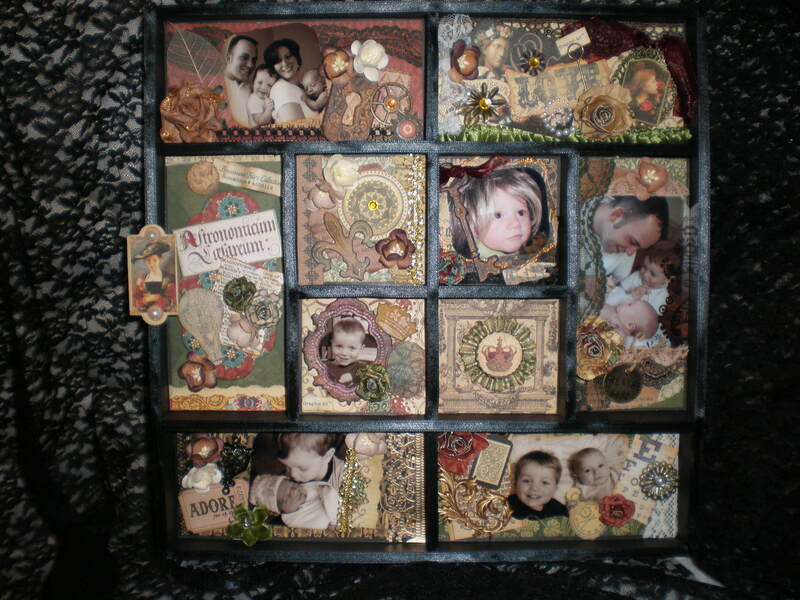 I am waiting on a few more products to finish it up and then I will post completed pics. Until then enjoy the sneak peek. Out of all the paper company’s available I have to say my absolute favorite is Graphic 45. How is it possible that one company could combine all the themes and colors that I love in one paper pad? 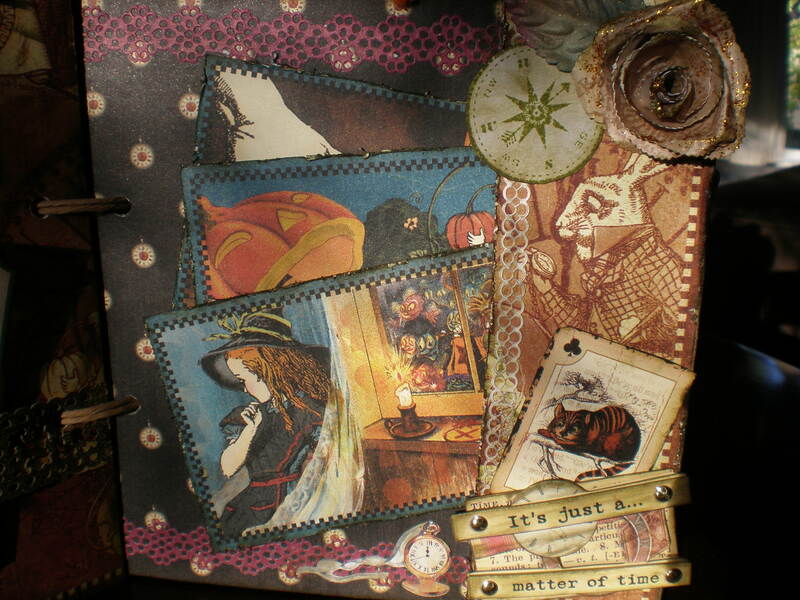 I have to admit that I have only worked with one collection, Halloween in Wonderland. I own two others but I just have not found a project worthy as of yet. I started our quite reluctant to put scissors to paper but as I progressed I found it enjoyable. 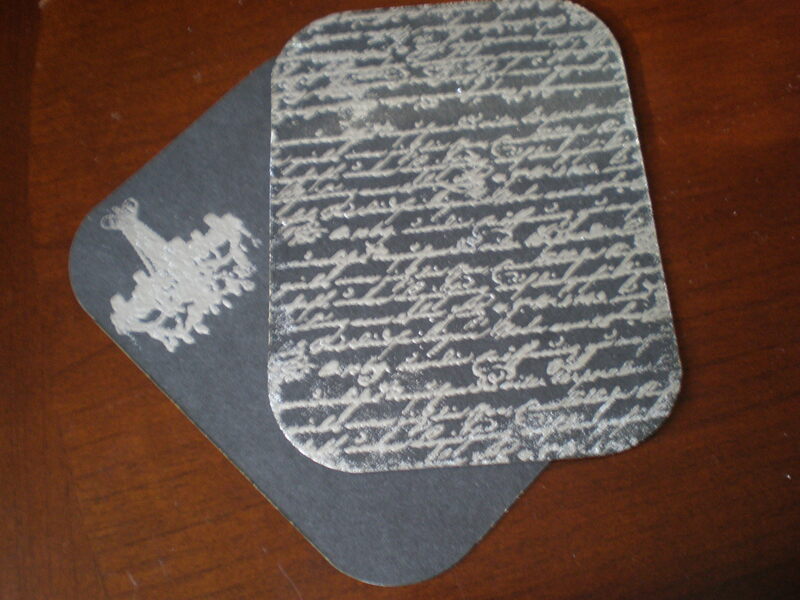 This paper not only covers but it also embellishes. Not many companies can claim that about their papers. It also saves me time debating which embellie goes best with which page. 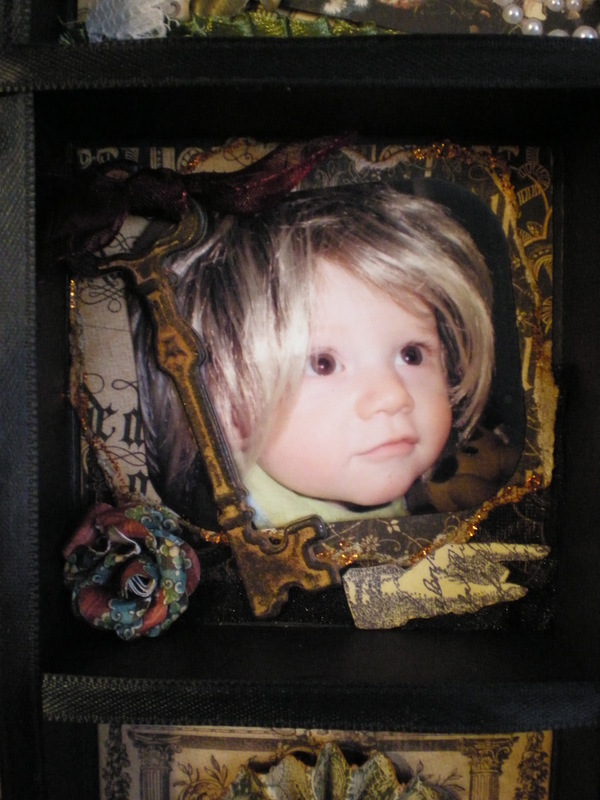 My album is a 6×6 chipboard mini. 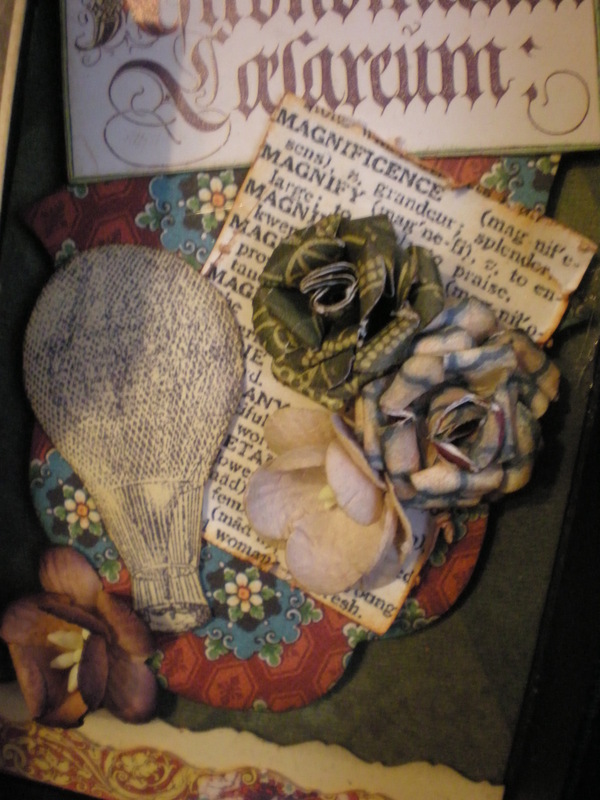 All of the flowers were made using the papers. I used Walnut Stain distress ink over the album in its entirety. 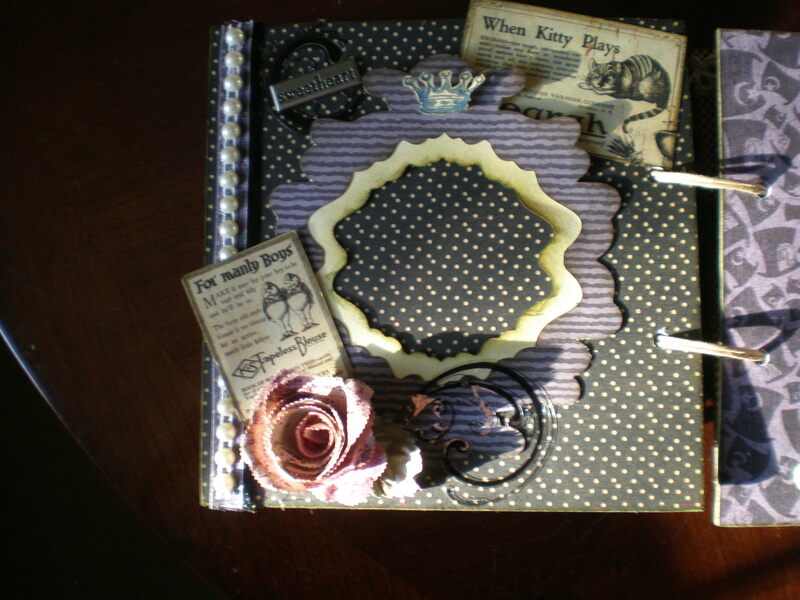 I still have not filled it with pictures because I like it just the way it is. Who knows, maybe it will remain barren of photographs.